The NAFD has been dedicated to maintaining the highest of standards throughout the funeral profession for more than a century, ensuring bereaved families receive the advice and support they need and deserve. As members of the National Association of Funeral Directors, we are dedicated to maintain the highest standards. All our bereaved families receive the support and advice they deserve. Our reputation for providing high standards earned us an invite to join Selected Independent Funeral Homes, a worldwide organisation of independent funeral directors who operate under strict standards and constantly strive to utilize the best professional practices. Selected-member funeral homes are run by trusted, local professionals who often are considered leaders in their communities. Many of the funeral homes are operated by multi-generation families that have a long tradition of helping people. We put great effort into education & training for our staff. Most of our funeral directing staff are either studying towards or have passed the NAFD Diploma in Funeral Directing. A worldwide professional association of independent, locally-owned funeral homes. Its members operate under strict standards. We are invited Into membership only after meeting rigorous selection criteria. We are carefully screened for our commitment to quality, range of consumer choices, affordability and high standards. We are privately owned, meaning that your needs come first. We view our reputation as our most valuable asset. 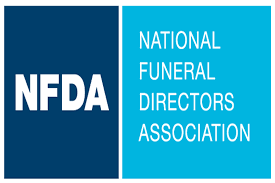 NFDA is the world’s leading and largest funeral service association, serving more than 20,000 individual members across 49 countries around the world. NFDA is the trusted leader, beacon for ethics and the strongest advocate for the profession. NFDA is the association of choice because it offers funeral professionals comprehensive educational resources, tools to manage successful businesses, guidance to become pillars in their communities and the expertise to foster future generations of funeral professionals. NFDA is headquartered in Brookfield, Wisconsin, USA.